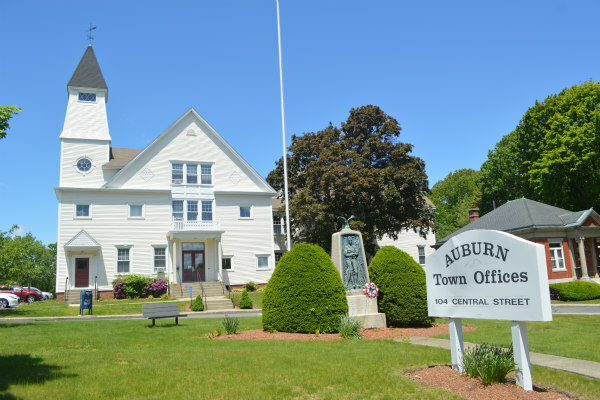 Auburn Center is also the site of the historic Hillside Cemetery, the resting place of many generations of Auburn citizens including former Congressman David Batcheller Mellish. If you want to learn more about Auburn, you can always visit the Auburn Historical Museum located on South Street in Auburn Center. Many of the homes in Auburn Center are located on Central Street and South Street, two main roads which intersect at the center of the community. The area has a home for families of all sizes, ranging from smaller, two-bedroom ranch houses to larger, five-bedroom contemporary homes. Auburn Center is within a mile of many restaurants and shopping centers, including the Auburn Mall. To the west of the area are two popular destinations for those who like to live an active lifestyle: the Auburn Driving Range and the Auburn Recreation Complex, which features an ice skating rink and multiple sports fields. Many Massachusetts State Highways, including the I-90 (Mass Pike), I-290, I-395, and Routes 12 and 20 are conveniently located within a couple of miles of this historic community for those who need to commute to work, or who are just looking to travel a bit further outside of the area.